These are authentic styles Beautiful cushion studded with Heavy Embroidery, In this cover Vintage patches from old, valuable wedding saris & dresses are patched and stitched together at random to create a collage like effect and decorated with all kinds of colored , threads, patchwork, raised colored thread work and embroidery in intricate designs with beautiful tassel work. 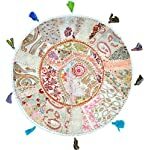 These are beautiful handmade cushion/pillow cover with rich embroidery and exotic jewel colors. 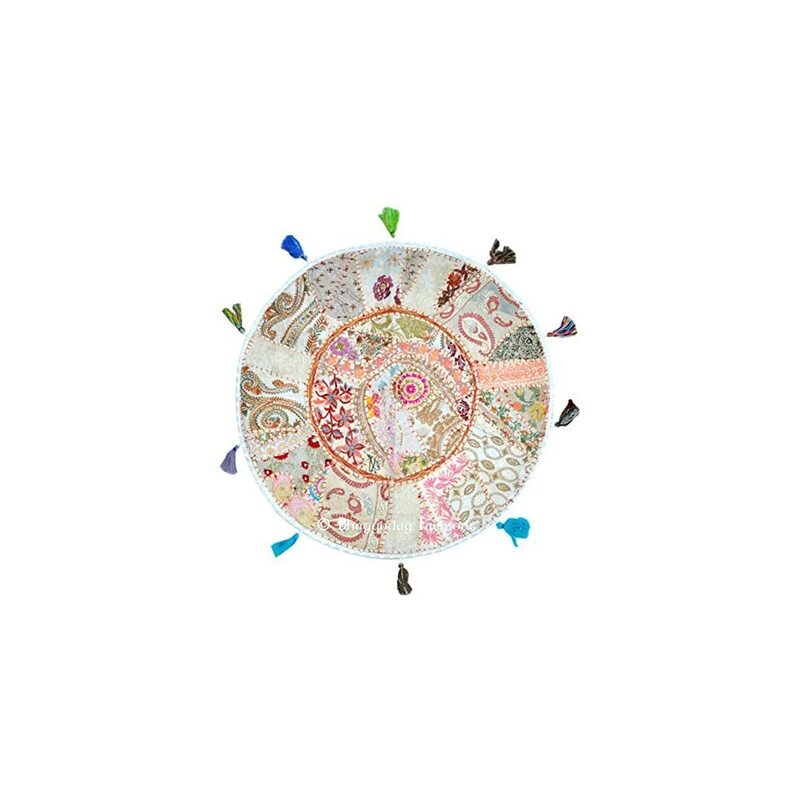 Beautiful “Khambadiya” floor pillow made by hand by artisans in Barmer, India from carefully chosen and sown together patches from vintage saris, lenghas and wedding dresses. Witness the exquisite embroidery and thread work on a vibrant cotton backing, creating a stunning collage bursting with gorgeous patterns and colors!